Imagine a world where starting a video meeting in your conference room was as easy as clicking a button. Savvy growth companies already benefit from this through Zoom Rooms. But still, many people are left wondering: what exactly is a Zoom Room? Zoom is the creator of the leading video web conferencing software platform: In the Owl Labs State of Video Conferencing Report, more companies chose Zoom for video conferencing above all other options. Zoom Meetings is Zoom's core product. Meetings are the online, video-hosted meetings that are free to join as a participant if you have Zoom video conferencing software installed on your computer or mobile device. Participants can join Zoom Meetings from different locations, regardless of whether they're joining the meeting from home, in a conference room in the office, or on their mobile phone. 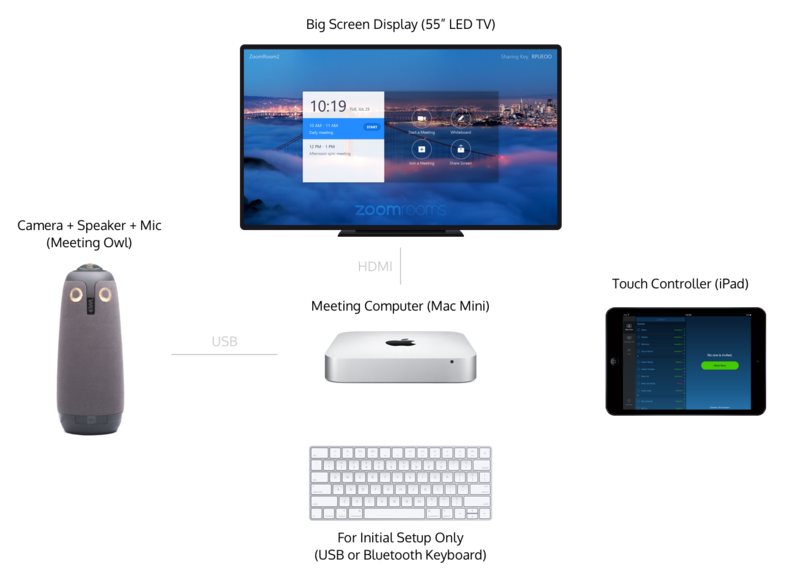 Zoom Rooms, on the other hand, are physical conference room software and hardware technology that makes meeting start simply and seamlessly. They are set up using physical hardware to run Zoom Meetings with just a tap of the button on a tablet. All of the video and audio is integrated into the conference room equipment and calendar systems. In short, Zoom Meetings are the software that you purchase and can start using right away from your computer. Zoom Rooms are physical setups to make using Zoom Meetings as seamless as possible. With Zoom Rooms, you can enable one-click meeting start, effortless screen sharing, and more. Want helping setting all of this tech up? We have a handy guide for you. Check it out now.